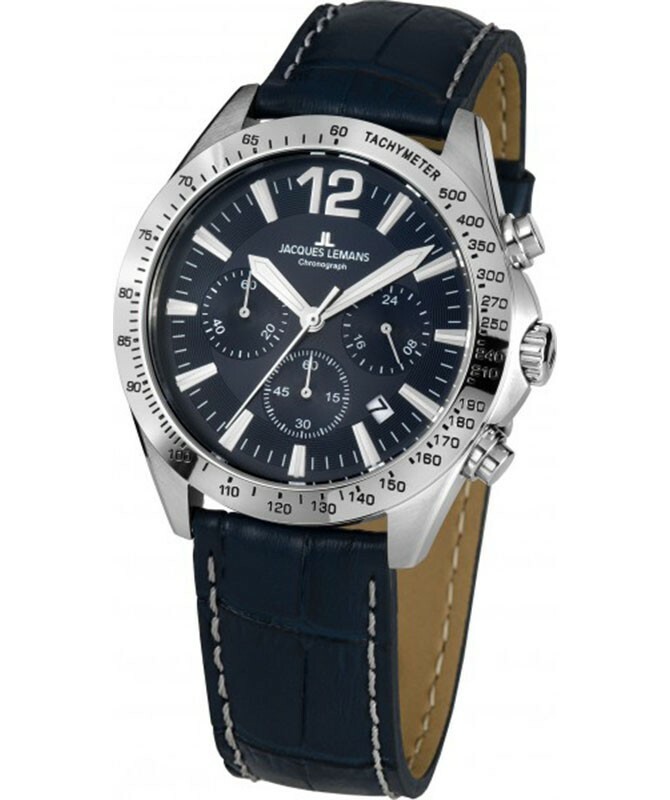 This model from the Jacques Leman anniversary movement is a sporty, casual chronograph. 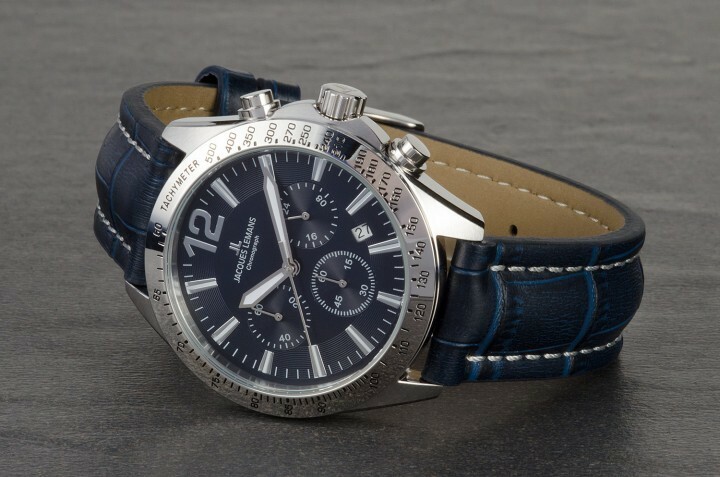 The dark blue dial with a combination of broad indexes and Arabic twelve and a date window between four and five o'clock is framed by a wide bezel. 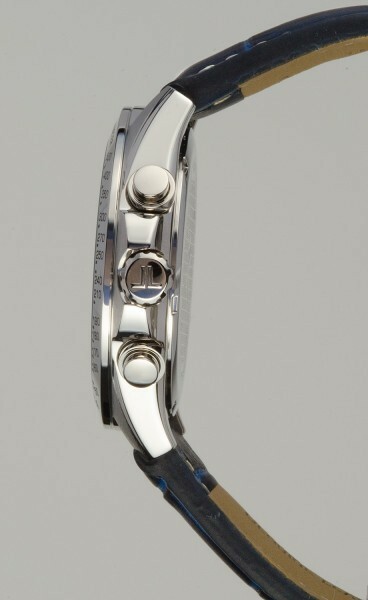 The small chronorins display a 24-hour display, minute and second counters and a stopwatch. 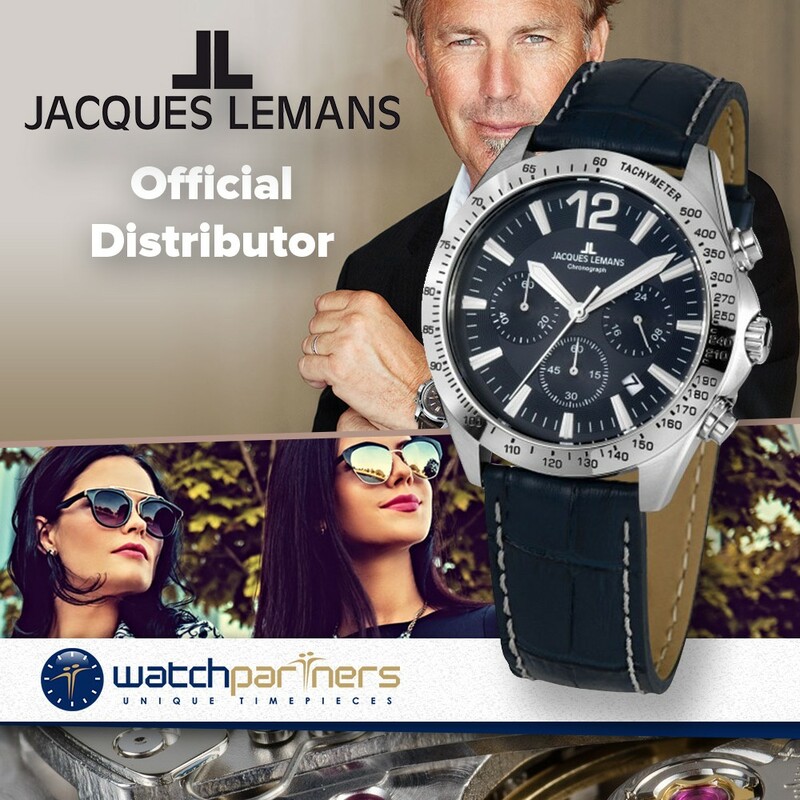 The solid stainless steel case has a diameter of 42mm, hardened Crystex glass and a water tightness of up to 10ATM. 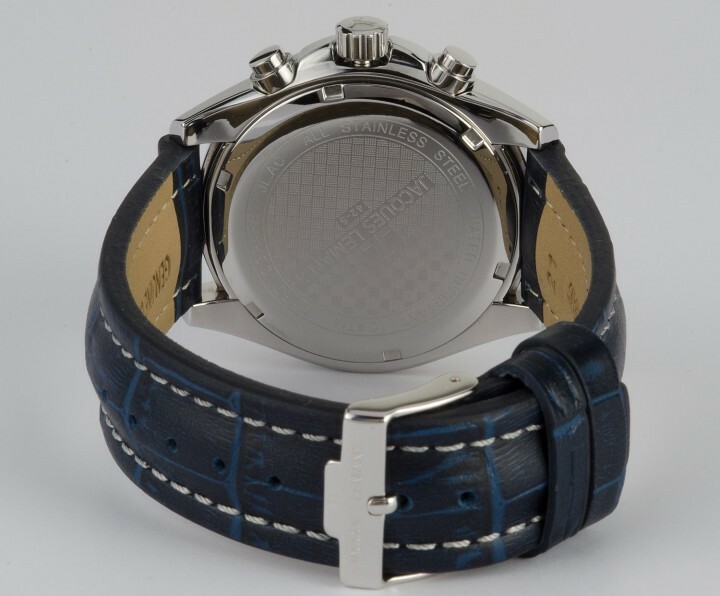 The high-quality, dark blue leather strap with light seam and pin buckle harmonizes perfectly with the striking look of this watch - an attractive timepiece and perfect accessory for all fans of sporty chronographs.